Hello! 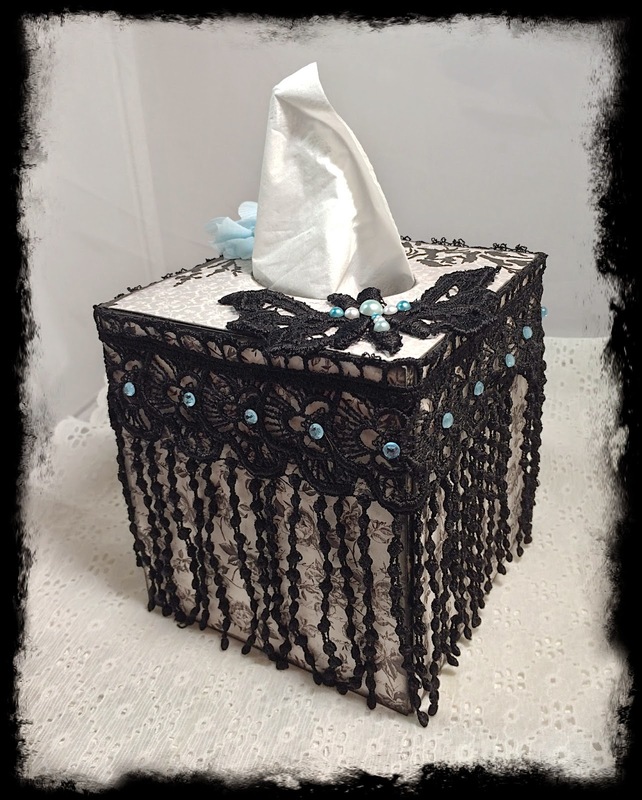 It's Rae with you today, and I'm sharing a tissue box holder that I picked up at my local big box craft store. I altered this one for my scrap space. 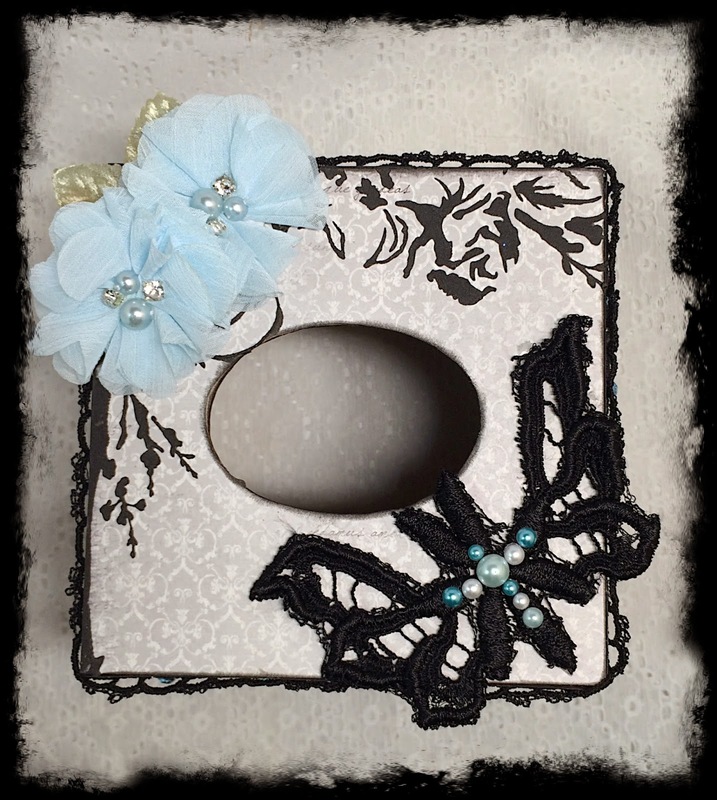 On the top of the box, I added some "light blue chiffon flowers" from the Etsy shop, and a piece of the "lace venice trim with butterflies" that I cut out of the strip. 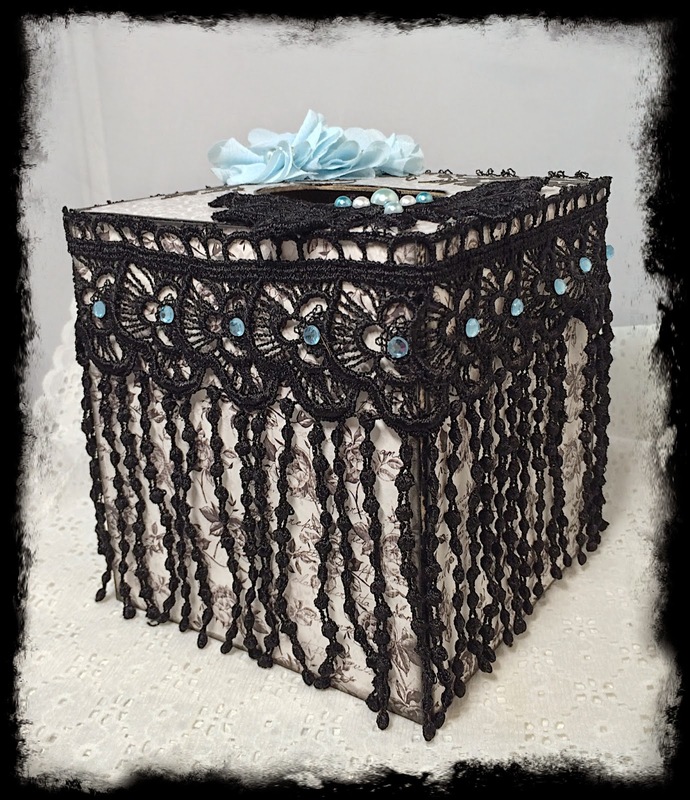 The entire box is lined with "black venice trim LA-142", which was the perfect size to create this dramatic effect. 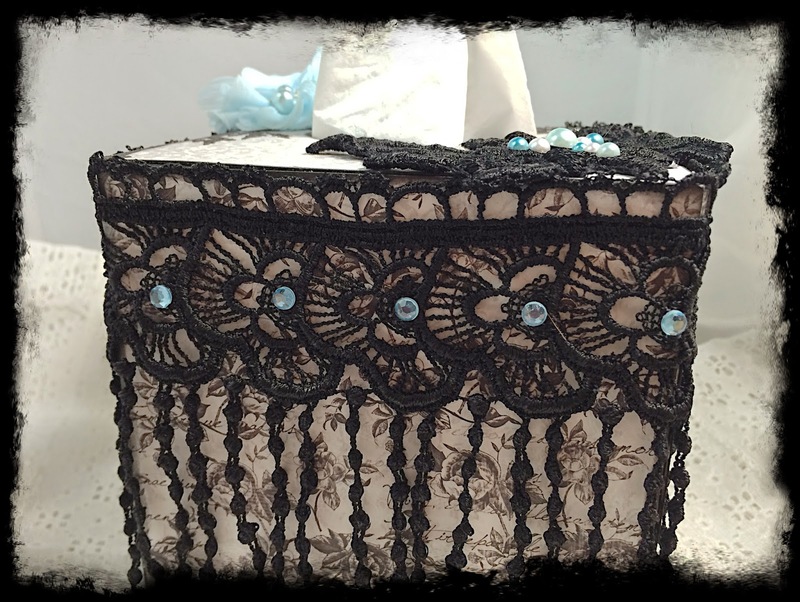 Here in this close up, you can see that I added some blue rhinestones to the trim. 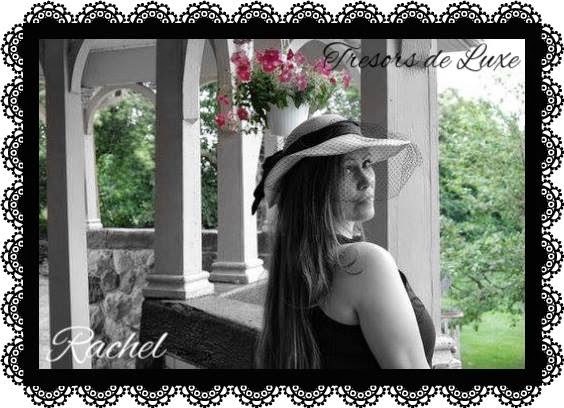 Thanks for taking the time to check out my project today!